Kalispell Bail Bonds: Fast and Cheap! Central Montana Bail Bonds Kalispell offers the fastest bail at the cheapest price. We know times are tough and that scraping up money to get a loved one out of jail may be tough. So please don’t despair, contact our Kalispell bail bondsman near you right now to start the bail process. No bond is too small or too large. If a friend or family member has been arrested in Kalispell or other city in Flathead County you have to know that it may be a waiting game to get them out of the flathead detention center. They must be booked, photographed and be finger-printed. While this is happening we can be waiting for them with the bail to set them free. You have the power of CMMBI behind you to effect the fastest release from the Flathead County Detention Center. 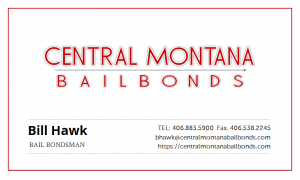 In case you need more information about the Kalispell bail bonds process or want to know more about our bondsman, we put together information about the court system, the Flathead detention center and the sheriff department; including phone numbers and addresses. Our hope is that you find this information extremely useful in your time of need. If something needs to be changed please submit that changed info below. A Kalisepll bail bonds agent is ready to take your call 24 hours per day. The Flathead County Detention Center is able to hold adult male and female prisoners and detainees; this detention center has a max holding capacity of 63. The detention center was opened in October 1987. Although, due to overcrowding, the daily rate of inmates is up to 92 (average) per day. Overcrowding is an important reason to post bail bonds for a family member or friend! Saturday: From noon until 9pm, with a one hour break from 1pm to 2pm for lunch. Visitor sign in begins at 11:45am. Sunday: From 9am until 9pm, with a one hour break for lunch between 1pm and 2pm. Visitor sign in begins at 8:45am. Central Montana Bail Bonds CMBB Kalispell Bail Bonds agents proudly serving the residents of Montana in need of cheap bail 24/7/365 fast!